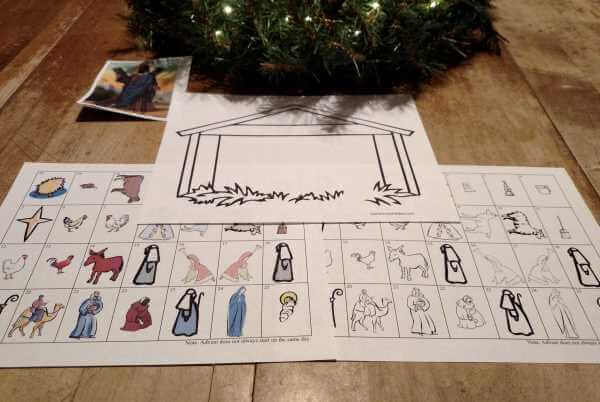 Make your children's Advent warm and memorable with printable Advent calendars. and blank pieces to color and cut. The manger scene gives a place to put the Holy Family and animals as the days get closer to Christmas. You can also use the page with the blank pieces to color like a wall calendar. 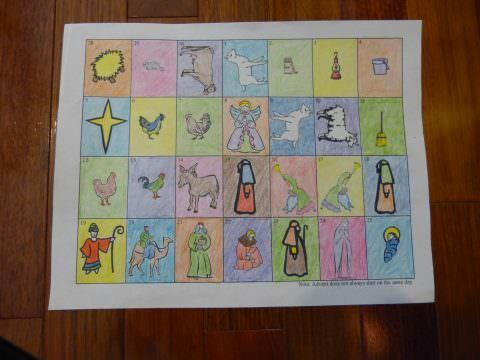 Color one square for each day of Advent. 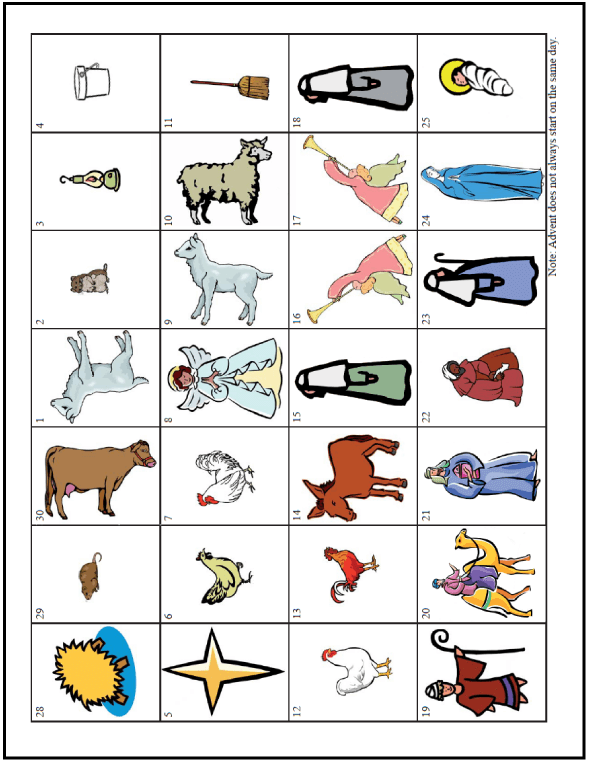 Print three page printable Advent calendar of a Nativity or Manger scene.